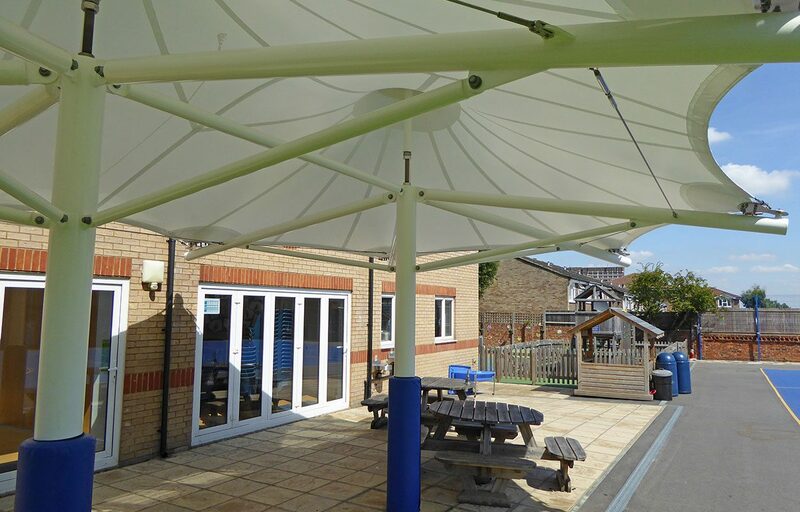 A double conic tensile canopy structure was designed and installed for West Lodge School in Sidcup. 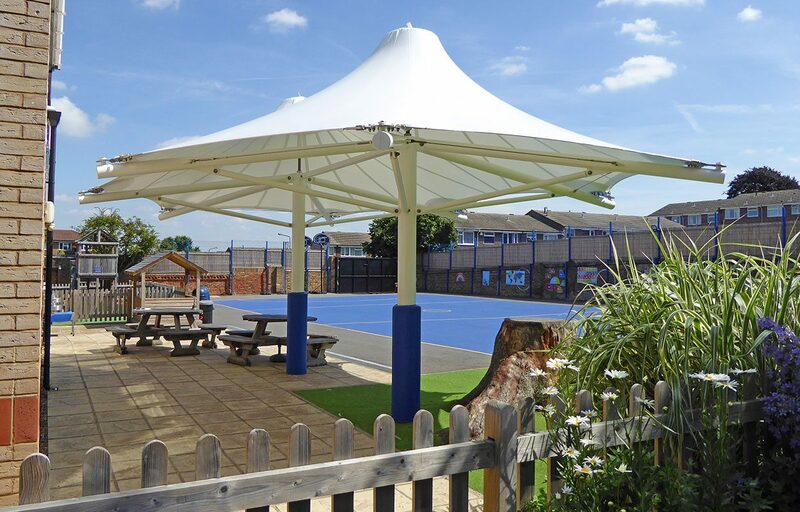 Practical in design, this tensile fabric canopy is perfect for a school environment to provide shade when using outdoor space for social and dining purposes. 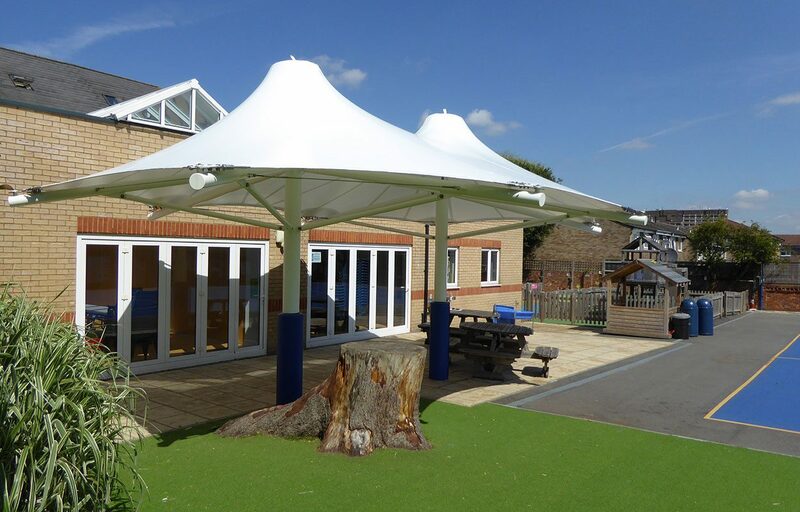 This canopy took only four days to install, including groundworks, meaning minimal disruption to the school’s site. 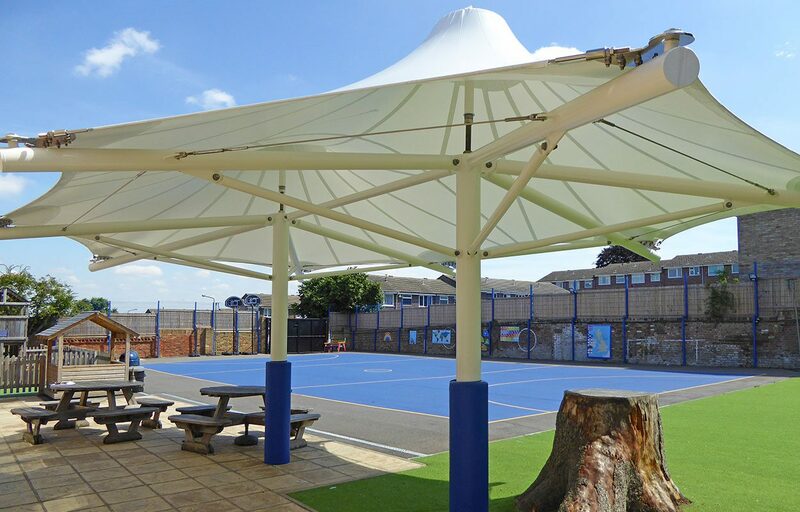 The fire retardant fabric roof covering is 100% waterproof, highly durable and offers high UV protection. Our Steel structures are guaranteed for 25 years, giving you peace of mind in selecting this product. 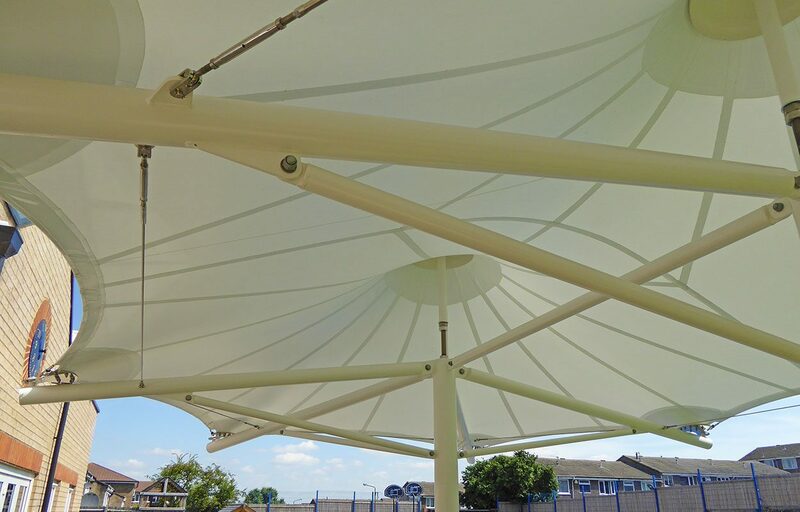 Our pre-designed range of waterproof tensile structures are perfect for outdoor classrooms, student social areas, play areas, walkways and alfresco dining areas and also means quick lead-in time from order to installation.